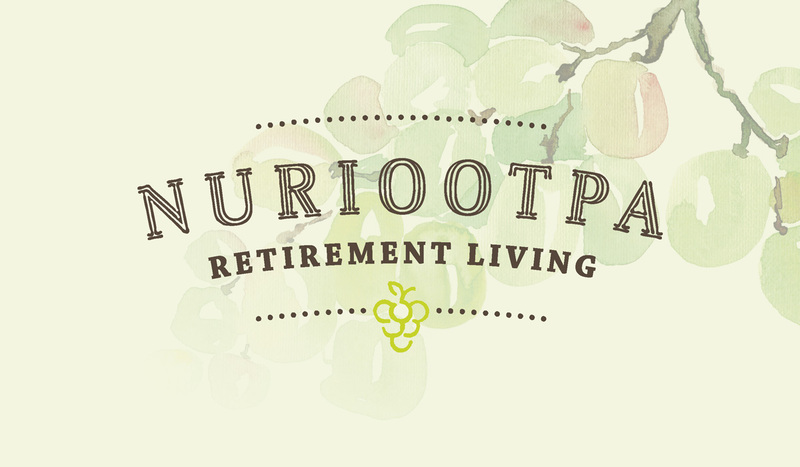 Nuriootpa Retirement Living is a new development project by our client Tanunda Lutheran Home. 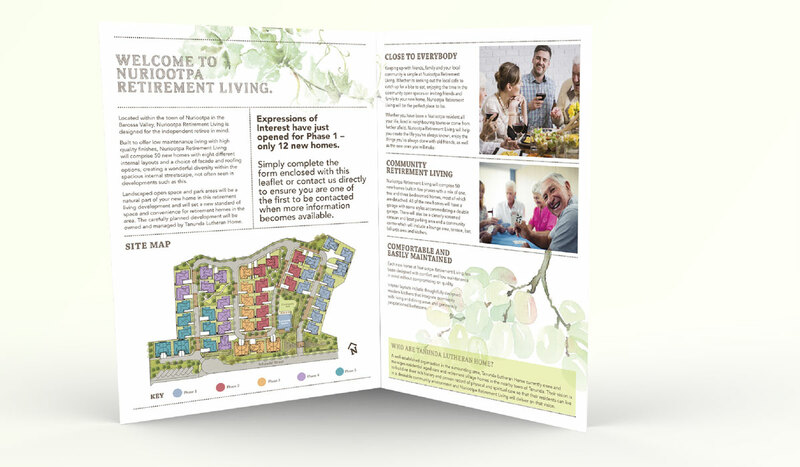 Algo Más were engaged to develop the branding and collateral to promote this new development. 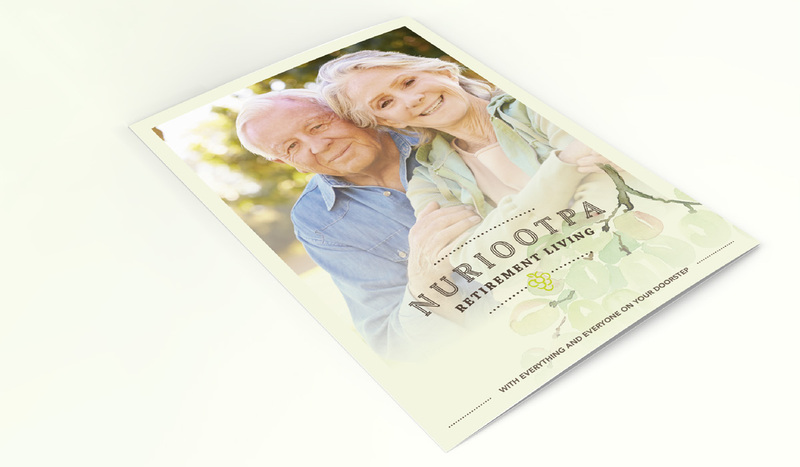 Nuriootpa retirement living offers 50 independent living homes with eight different internal layouts. The logo is designed to reflect upon the regions winemaking heritage, utilising a slightly rough typeface set in a style that is reminiscent of branding on a wine label. 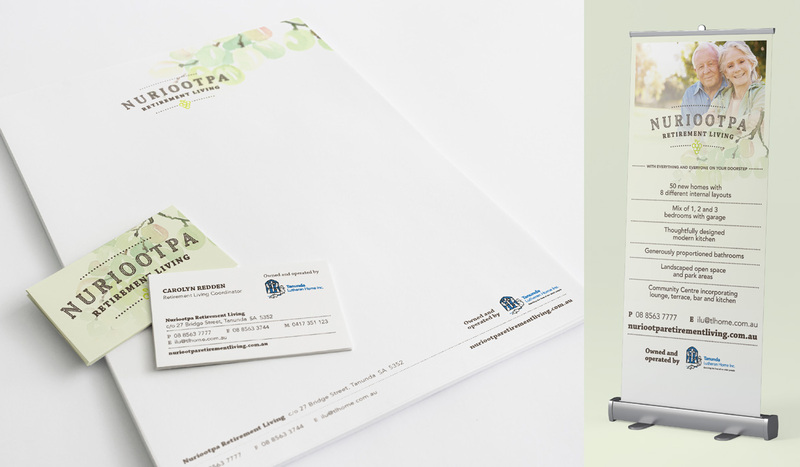 In addition to the logo, to launch the new brand Algo Más designed A4 Brochures, Stationery, Floorplans, Sitemap Flyers, promotional items, press advertising and we also developed a website for the development.